Maximizing Risk Reduction through Collection and Analysis of Operation & Maintenance Data. 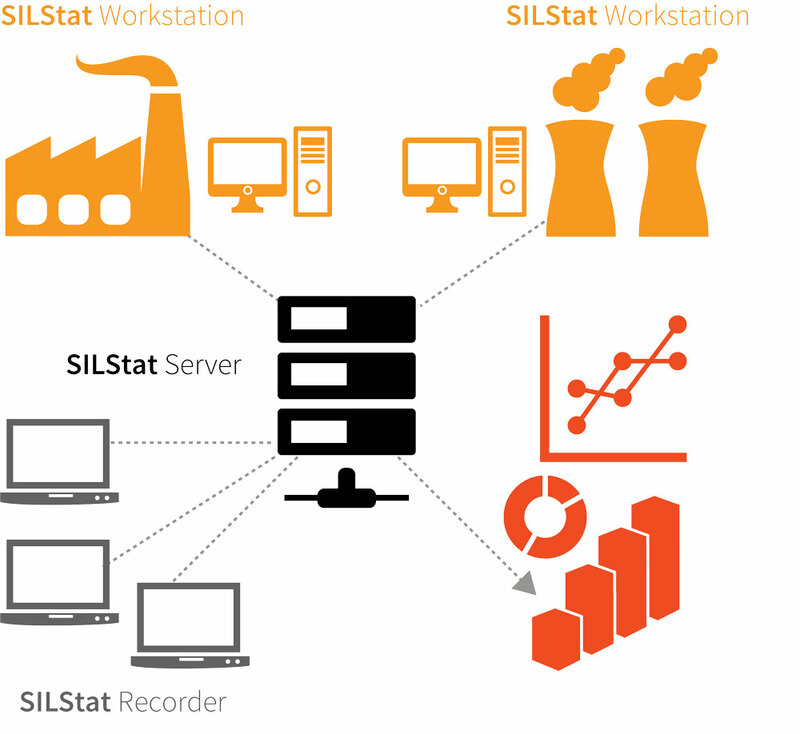 SILStatTM captures key operational and maintenance data (such as equipment failures, process demands, success or failure of protection layers, proof test results, execution of mandatory maintenance activities, etc.,) for review and analysis as required by the IEC 61511 / ISA 84.00.01-2004 standard and as part of compliance with an OSHA Process Safety Management (PSM) Mechanical Integrity Program. SILstat is the only scalable proof test tool allowing cost effective solutions from a unit level to multi-site enterprise. Record actual plant data to validate process demand frequency and failure rate data assumed during design of your Safety Instrumented System. Jump start your data collection by auto-configuring your plant hierarchy by importing from exSILentia. Be up and running in less than an hour with exida’s Application Desk support. Demonstrate compliance of Functional Safety Standard IEC 61511 by executing proof test and required maintenance effectively and on time. SILStat supports the capture, documentation, and classification of the following “life events” in a format that is compatible with the Center for Chemical Process Safety (CCPS) Process Equipment Reliability (PERD) database level 2. New life events can be recorded in the SILStat event database for a specific device or address location in a plant. Events can originate from an engineering workstation or from a mobile recorder application. It is possible, for example, to document the results of a process demand, including what hazardous situation occurred and the effectiveness of each associated layer of protection (which layers worked and which layer(s) failed). The event database can also record auxiliary information such as the SAP Work Order Number, which authorized and scheduled a maintenance activity like a proof test. The SILStat dashboard provides a simple overview of upcoming proof tests and activities. 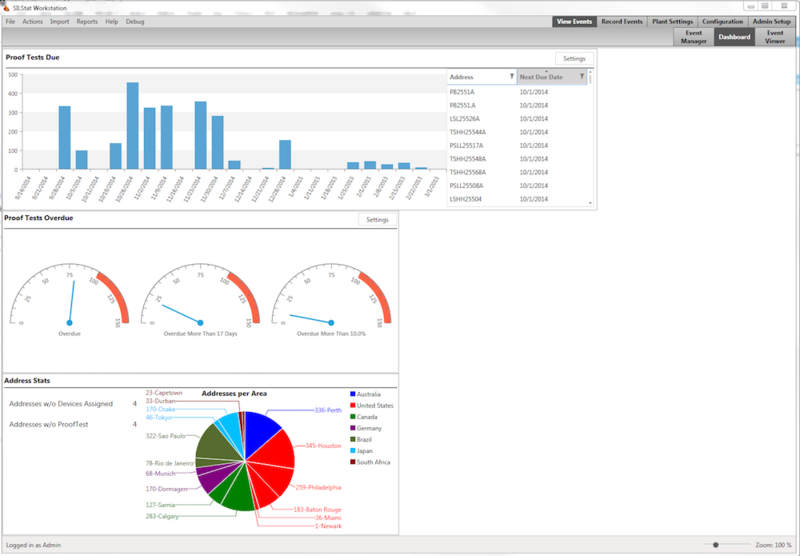 Recorded events can be reviewed and analyzed through the SILStat event viewer, which provides powerful sorting and filtering capability to identify performance trends. The recorded events are used to calculate actual demand rates (initiating frequency), failure rates, and probability of failure on demand (PFD) for devices and layers of protection. Capturing operation and maintenance data (events) for plant equipment provides the ability to evaluate the achieved risk reduction achieved. Protection is inadequate Process hazard risk is higher than expected or SIF is under designed to protect against the process hazard. return to Analysis phase for redesign and implementation. Protection is more than adequate SIF is over-designed to protect against the process hazard or process hazard risk is lower than expected. Allows modification of design practices for future applications and potential for cost savings. A key activity during operation and maintenance is the execution of proof tests periodically based on design performance requirements such as the expected level of risk reduction. Create templates for organizing and reusing proof tests. Export the proof tests created by the conceptual design engineer in exSILentia® during the up-front design of the risk reduction scheme. Customize these procedures as necessary (e.g., add measurable pass / fail criteria) for execution by maintenance personnel. Use version control to organize proof test documents and manage changes to them. 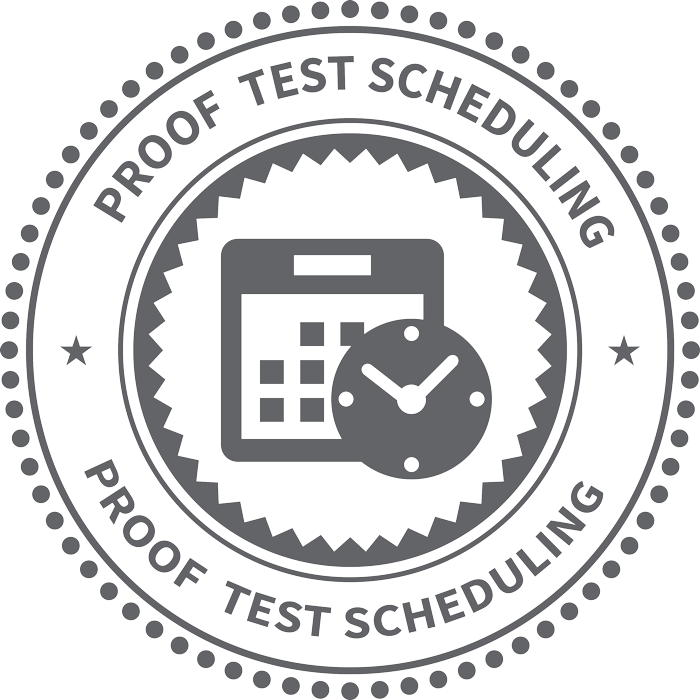 SILStat provides the ability to schedule proof tests. The software will provide an overview of proof tests due, overdue and the overall compliance status for each SIF identified in the software. The scheduling allows for tracking of proof tests and demonstrating standard compliance to regulatory inspectors. 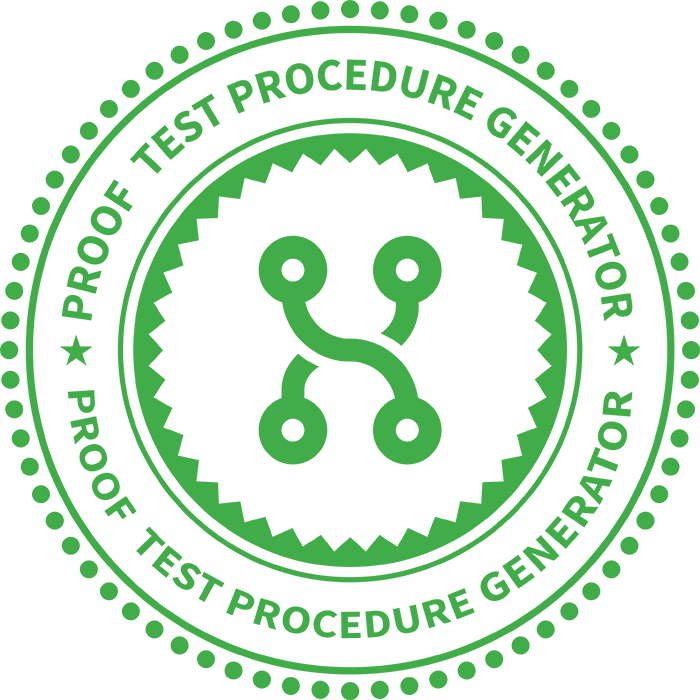 Ability for operation and maintenance personnel to view and execute proof tests. The user follows the proof test procedure (checklist) defined for a specific address location in a plant and records factual data. For SILStat Site applications this can be done remotely using a SILStat Recorder. All recorded data and observations are stored in the SILStat database. 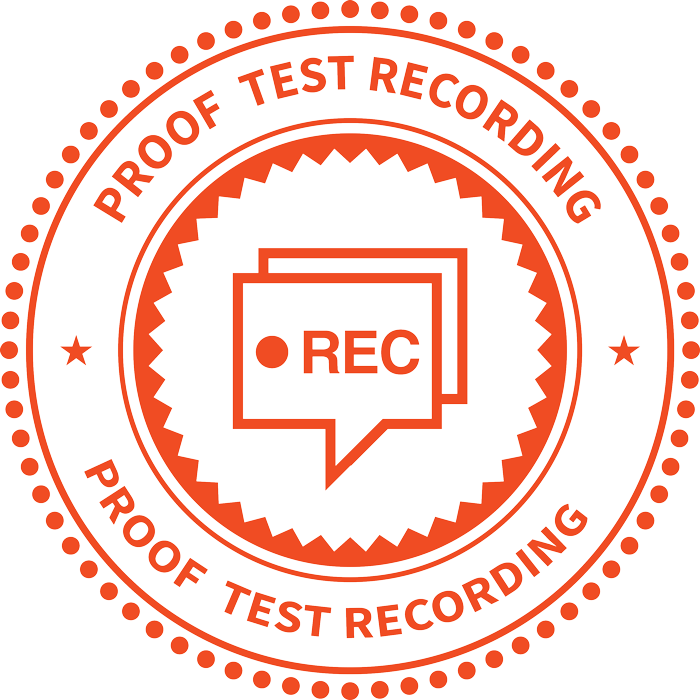 Proof test results are automatically reviewed and evaluated. SILStat compares the collected factual proof test data to the pre-defined pass/fail criteria that was defined in the proof test procedure. Additional comments can be added to the test results and maintenance events can be scheduled (e.g., device requires repair and replacement). Manufacturers define Mandatory Maintenance Activities for their products. These activities could include replacement of expiring sensing elements, replacement of products at the end of useful life, periodic cleaning of impulse lines, etc. The execution of these activities is essential to continue to be able to claim compliance to the conceptual design. SILStat allows the scheduling of these activities, including definition of multi-step tasks, similarly as proof tests. SILStat supports the operation and maintenance phases of the PSM and Functional Safety Lifecycles. As such it is intended to be used for many years to allow life event data collection. This is in contrast to the tasks that are executed during the Analysis and Realization phases of the PSM and Functional safety lifecycle which are typically executed in a much shorter time frame as part of dedicated projects, e.g. 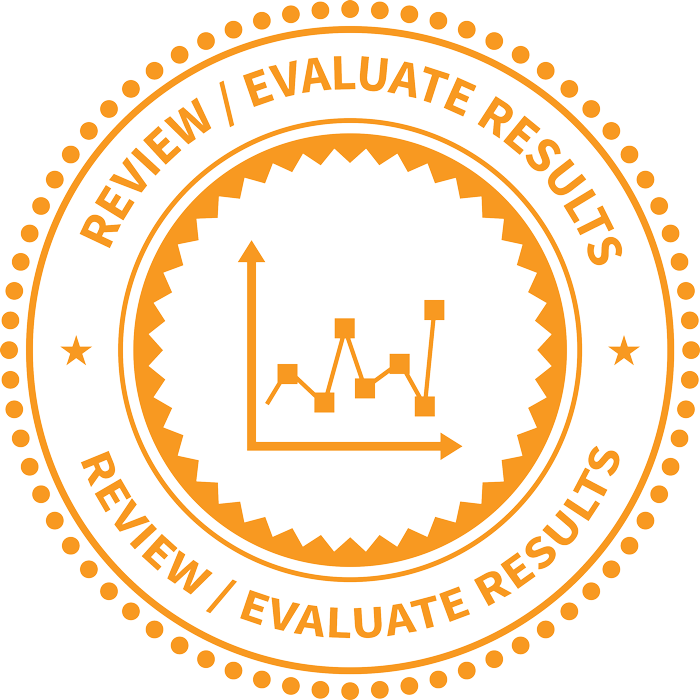 re-evaluation of the SIS installed as part of the mandatory PHA review cycles. SILStat is available in two different options: SILStat™ Lite and SILStat™ Site. SILStat Lite is a single user, standalone application which will allow the user to introduce the concepts of life event recording within their organization. The SILStat Lite application provides a single event repository, with single administrator and recorder interface. All event data recorded are easily transferable to a SILStat Site installation if the user decides to extend the use of SILStat within their organization. SILStat Site provides a multi user environment with a central server based event repository. SILStat Site provides a flexible system architecture which supports effective use by engineering, operations, and maintenance personnel. SILStat Site is designed to support applications ranging in scope from a single site up to the enterprise. SILStat Server - Common repository for proof test procedures, failure and demand data, and proof testing results which can be accessed by multiple users. SILStat Workstation - PC based system that contains the tools for configuration of the plant hierarchy, hazard scenarios, and proof test procedures as well as for administration. Workstation can also be used for the documentation of failures, demands, and events. SILStat Recorder - Mobile application running on a handheld or tablet that can be used to execute proof tests, record proof test results, as well as document failures, demands, and events. It allows plant documentation (Wiring schematic, P&IDs, etc.) to be accessed remotely.